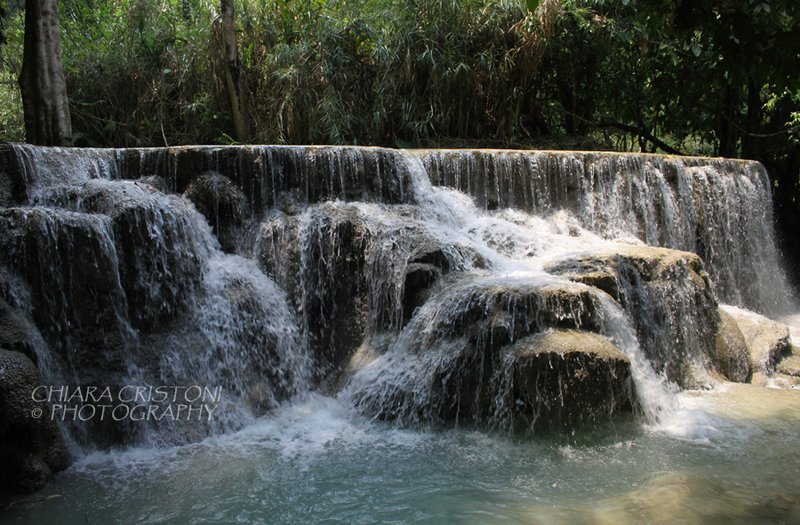 Getting to the Kuang Si (or Kouang Si) waterfalls, 30Km south of Luang Prabang, was an adventure in itself. 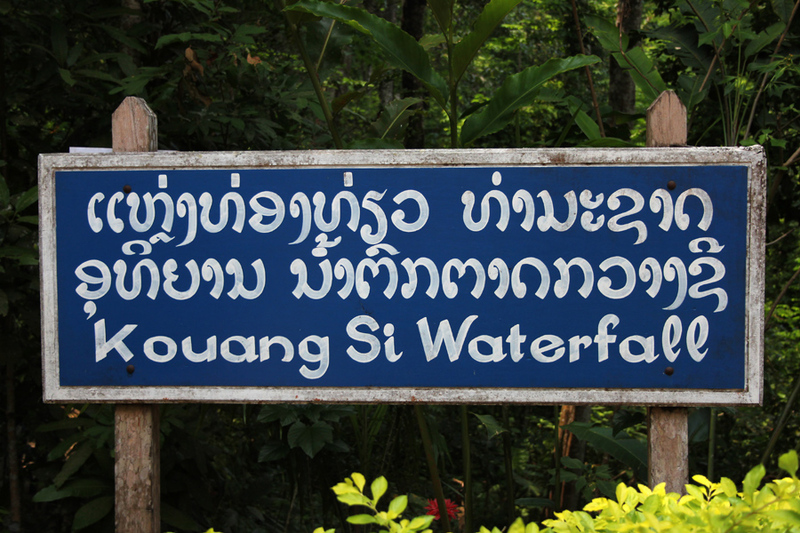 27 of us from the same hostel were booked on the “minivan option” to get to the waterfalls. Only to find out that ‘minivan’ meant ‘tuk tuk’ and that we had to cram into only three tuk tuks…And that was just the beginning! 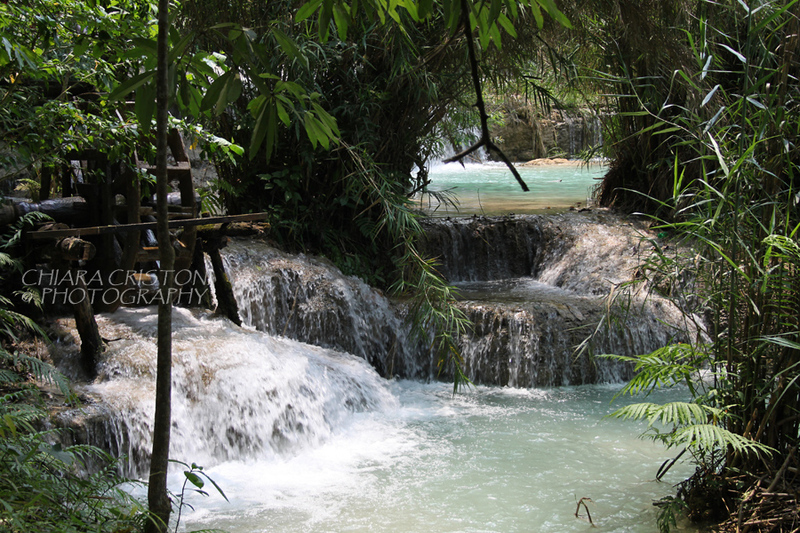 Roads in Lao are very bumpy and badly maintained, potholes are the size of a buffalo, and drivers are as mad as those in Vietnam…To add to this, the road to the Kuang Si waterfalls is quite winding and hilly. 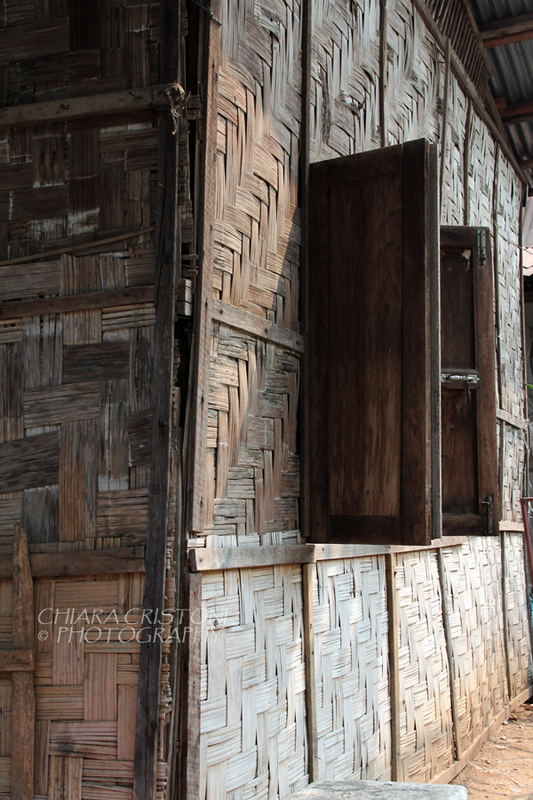 When the engine of the tuk tuk I was in stopped working as we were on a steep road, the driver didn’t beat an eyelid. He engaged the emergency brake and put two small rocks behind the rear wheels as extra safety measure. Then tried to start the engine again. 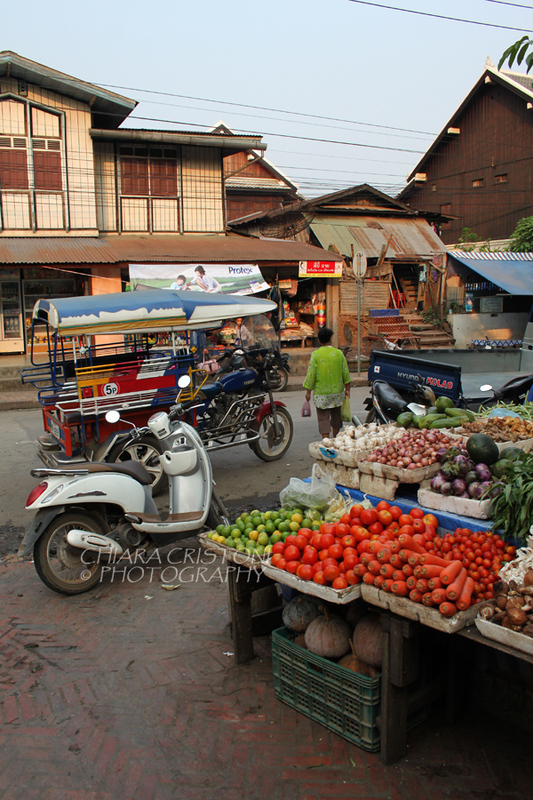 It started but the tuk tuk didn’t move. 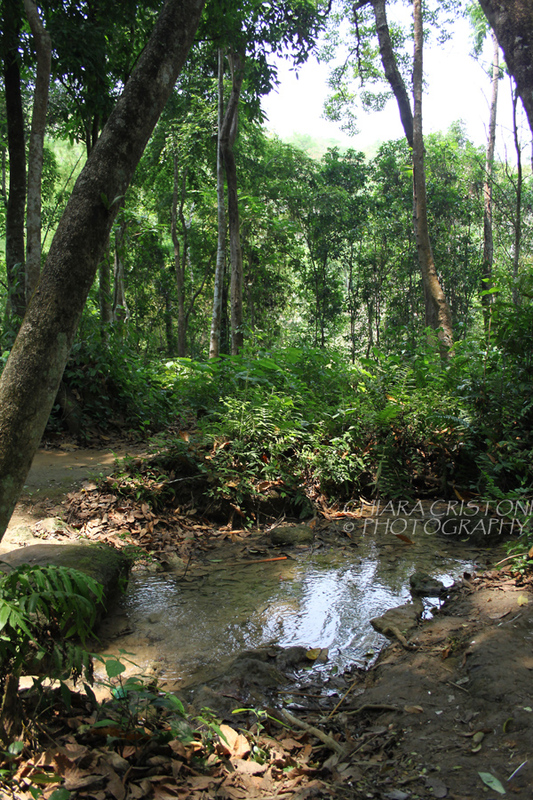 After a few times we started sliding backwards (small rocks can’t hold a tuk tuk!) 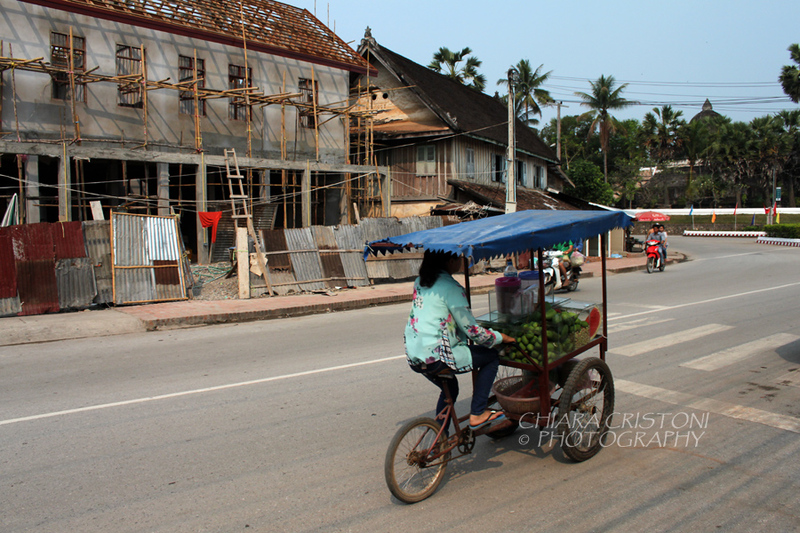 and I pictured myself in a newspaper article titled “Backpackers accident in Lao”. But no, that didn’t happen. 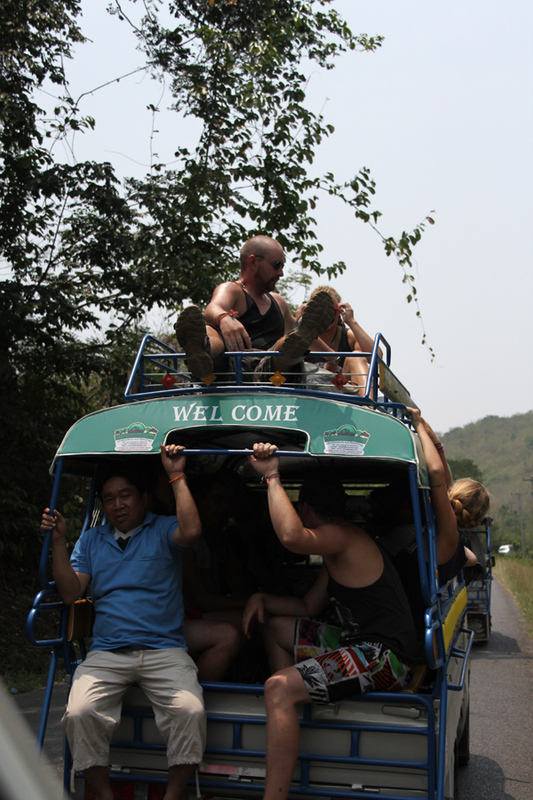 The second tuk tuk reached us and 3 of us were told to get on it. That meant 12 people plus driver! 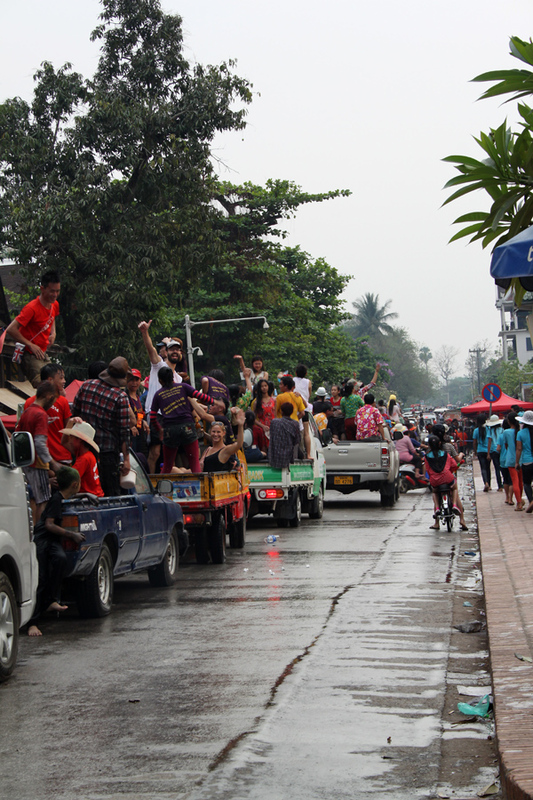 After a few more failed attempts everyone had to leave the broken tuk tuk and redistribute between tuk tuks and minivans driving past. This time I got the minivan! 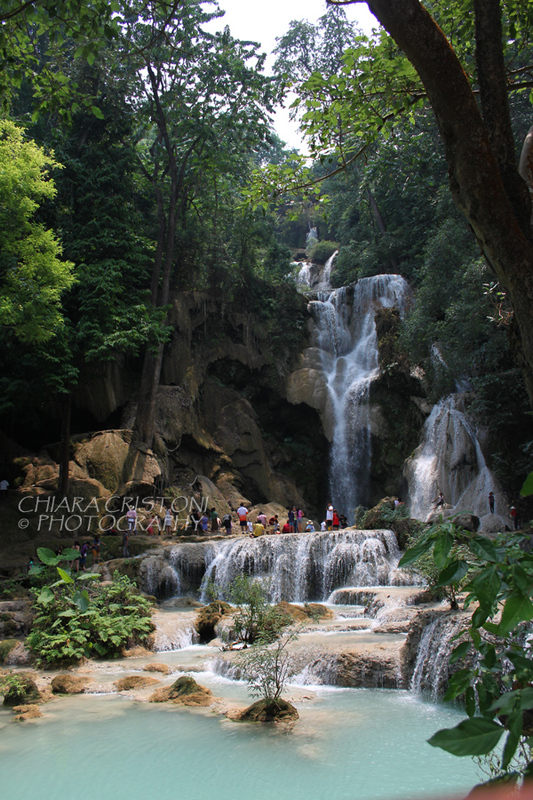 Eventually we arrived to the Kuang Si waterfalls. 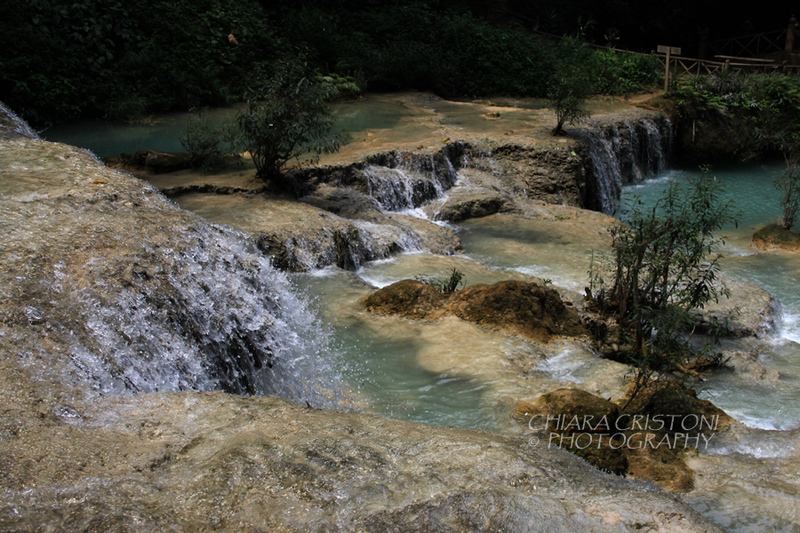 These falls are made of a succession of beautiful pools and waterfalls, with turquoise blue waters. It really is such an amazing scenery! 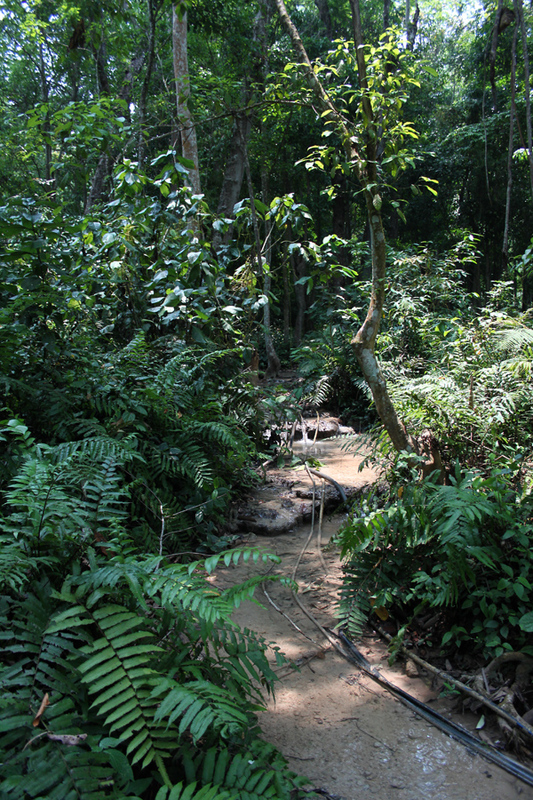 It is possible to swim in most of the pools, and trails and walkways allow for easy walking between them. 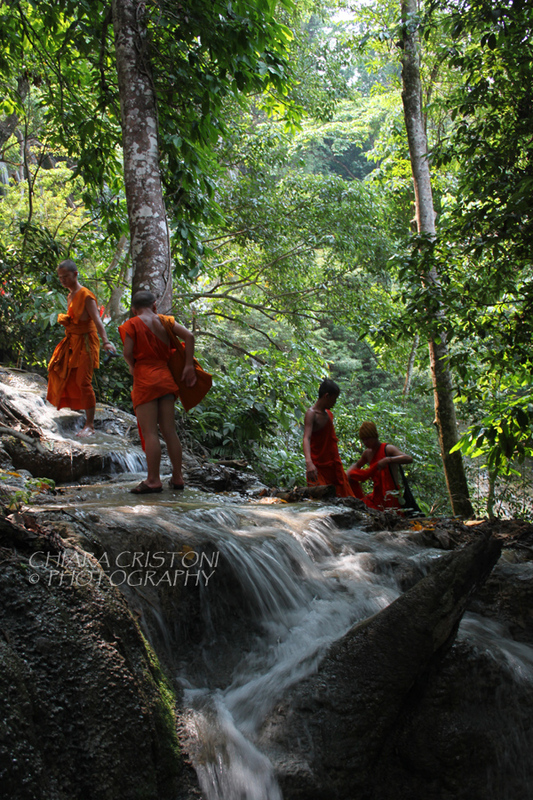 The biggest waterfall is at the very top and a slippery climb to the highest pool seemed the favourite for dozens of young monks (novices) who were there to swim and dive in the pools. Whenever they saw us along the trail, they encouraged us to join them to the top! 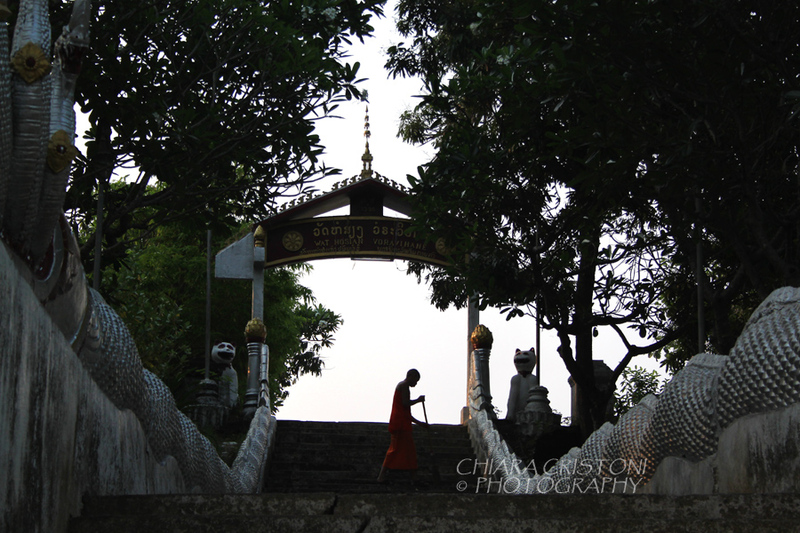 I did not make it to the very top but I could still see (and hear) the monks having a great time :-). 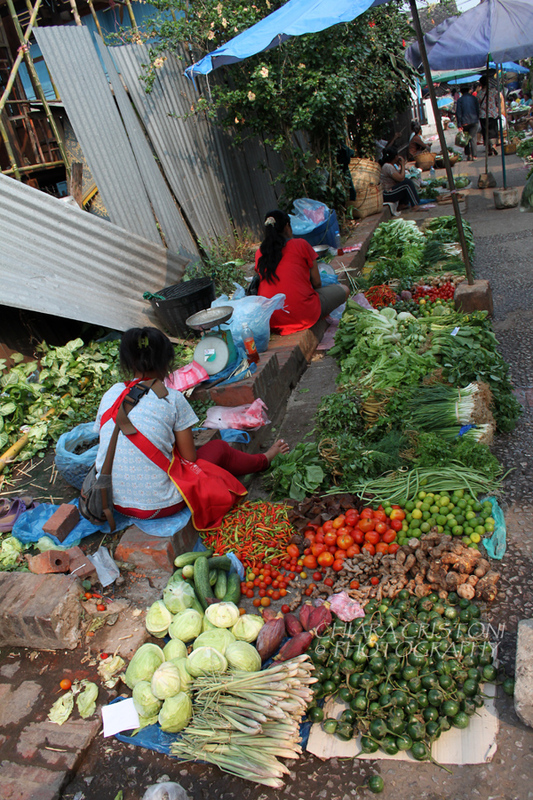 The journey back to town didn’t involve broken down tuk tuks. But the driver decided to entertain us with some Formula One racing down the hill, overtaking trucks on bendy roads and ignoring any plea to slow down. Thankfully we made it back safely . 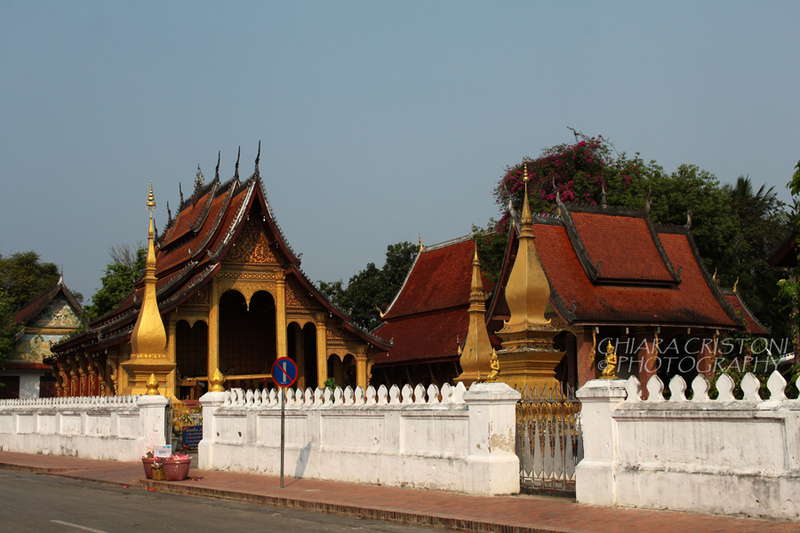 Since 1995 Luang Prabang, in the north of Lao, has been listed as UNESCO World Heritage site thanks to its high concentration of beautiful Buddhist temples mixed with European-style colonial buildings. 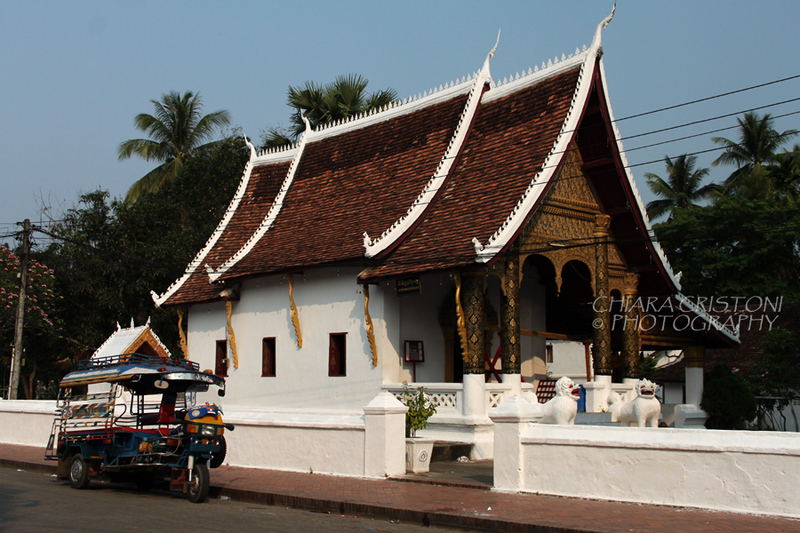 Located at the confluence of the Mekong and Nam Khan rivers, Luang Prabang is a charming town and very easy and pleasant to walk around. When I visited the unbearable heat after 10:30am was not ideal for sightseeing, yet other options were available for the rest of the day. If you visit at mid-April, be prepared to get soaked in the New Year celebrations (see my blog post here). 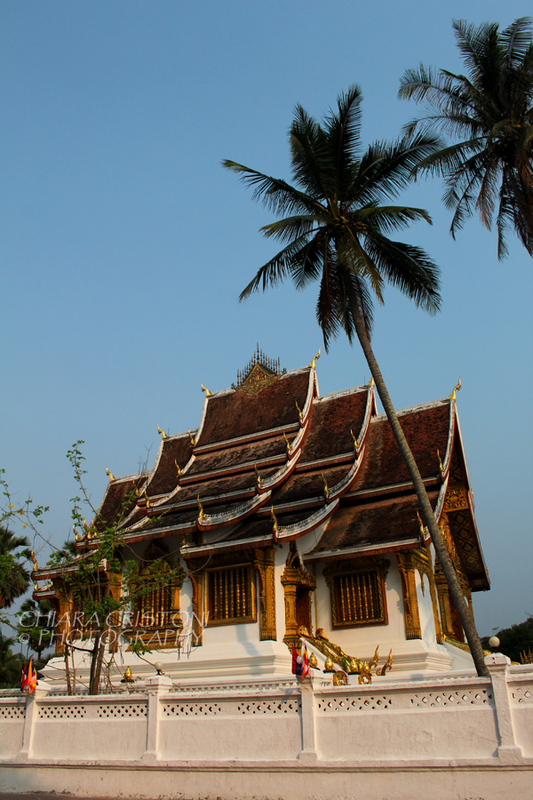 Visit some Buddhist temples: there are many beautiful ones but definitely not to miss are: Wat Xieng Thong and Wat Mai. 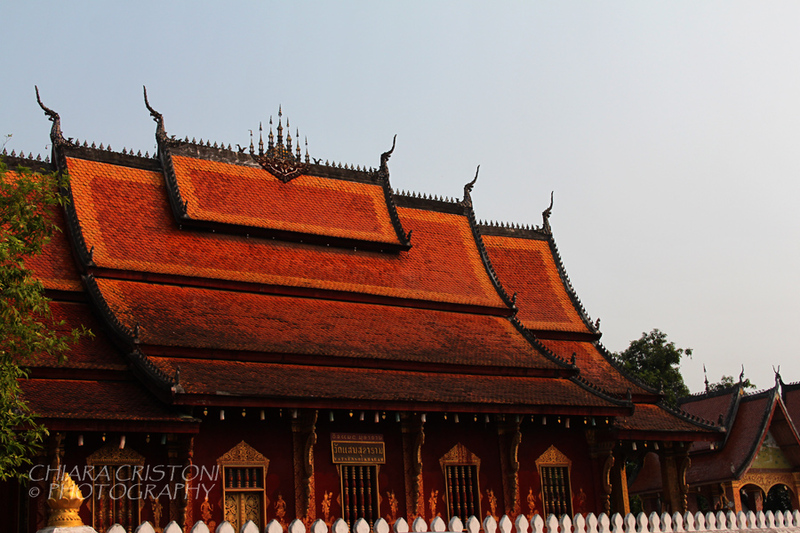 Pop into the Traditional Arts and Ethnology Centre: they have very interesting displays and information about ethnic groups in Lao. 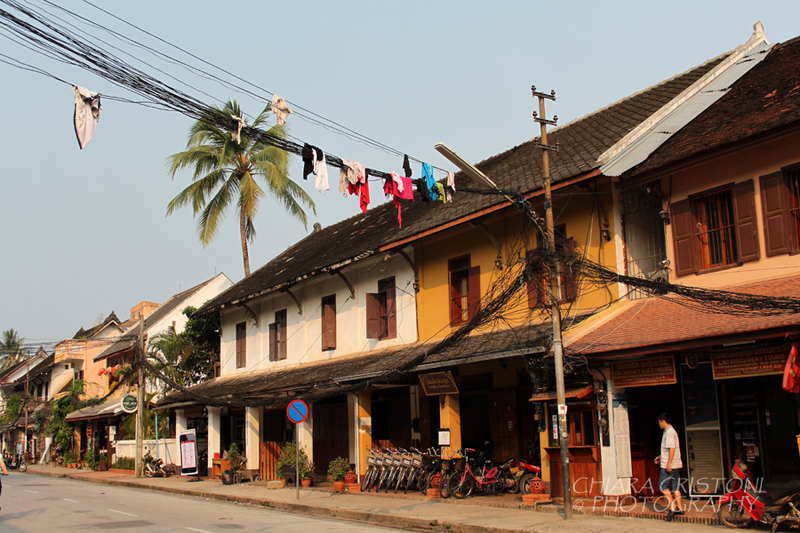 Stroll along the streets in the Old Quarter and enjoy the colonial architecture. 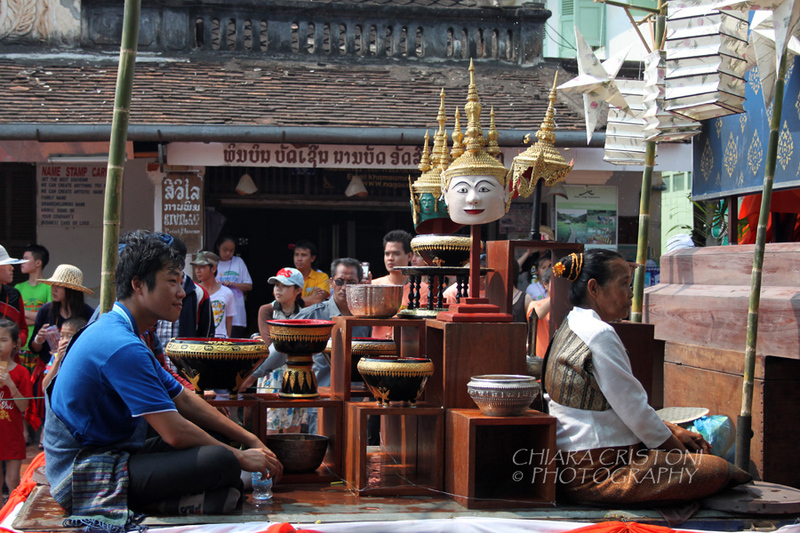 Wake up at dawn for the Alms giving ceremony (see my blog post here). 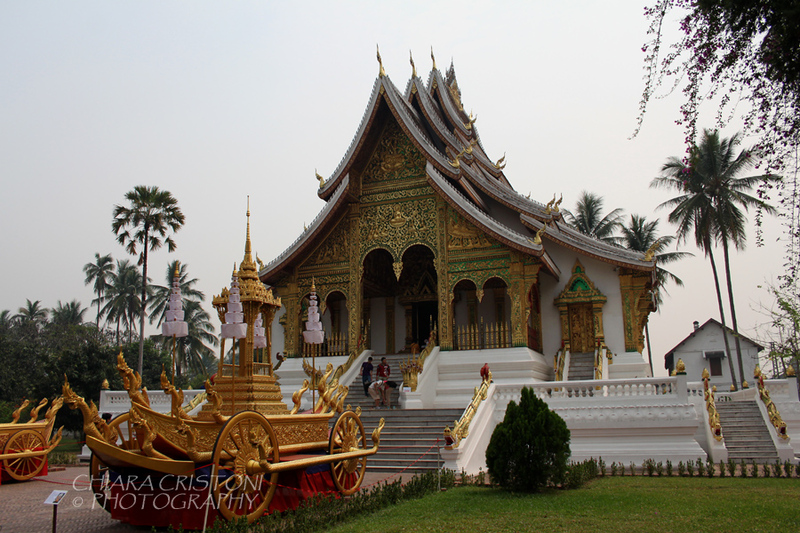 Visit the Royal Palace/National Museum: probably not the most interesting I have ever seen, but worth an hour of your time. 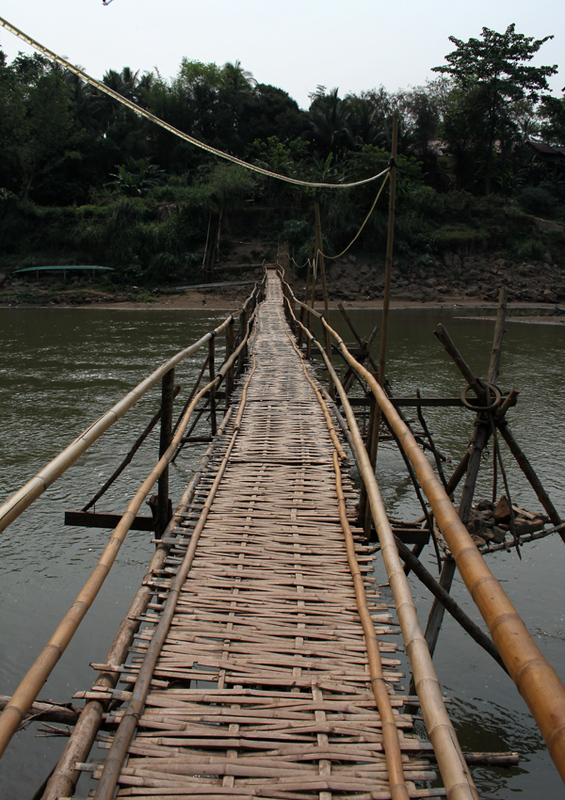 Cross the bamboo bridge over the Nam Khan river and go for a stroll in the village on the other side. 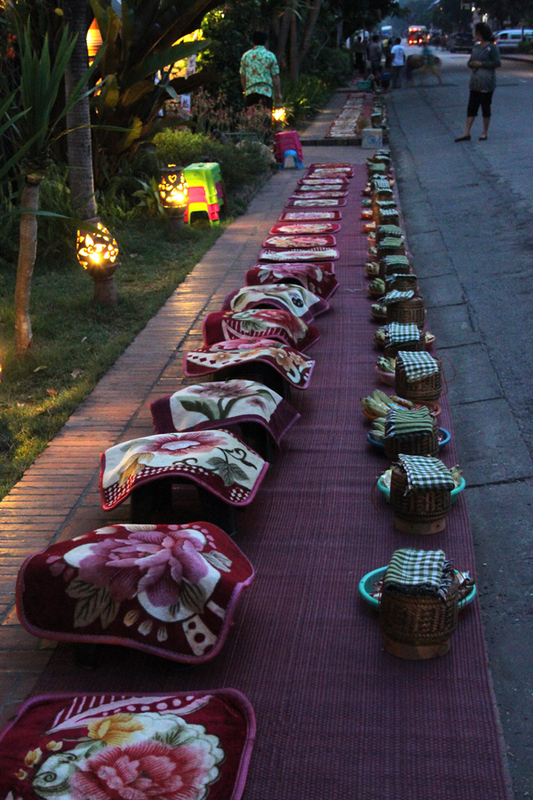 Then stop at the Dyen Sabai restaurant and chill with a drink while enjoying a view over the river and the surroundings. Go to the Library and buy some books for the children in the villages. 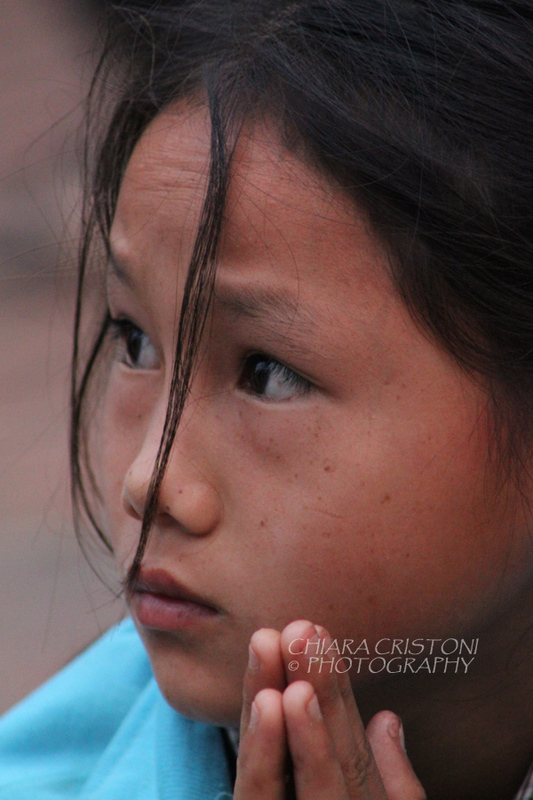 This is in collaboration with Lao Kids. You may also find students or monks who want to practice their English. (You can do the same at Big Brother Mouse, whose presence is all over the internet. I went there too but I preferred the Library). 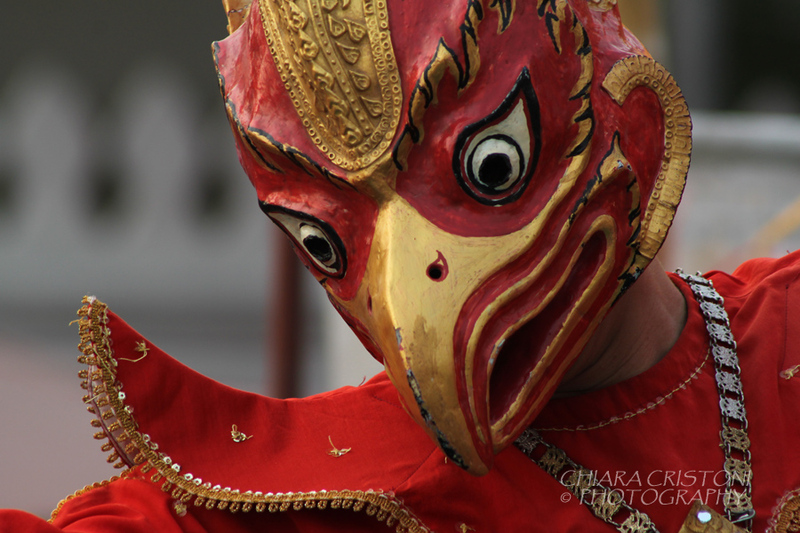 See a performance of traditional Ramayana dance. During the New Year celebrations there were free performances every day. 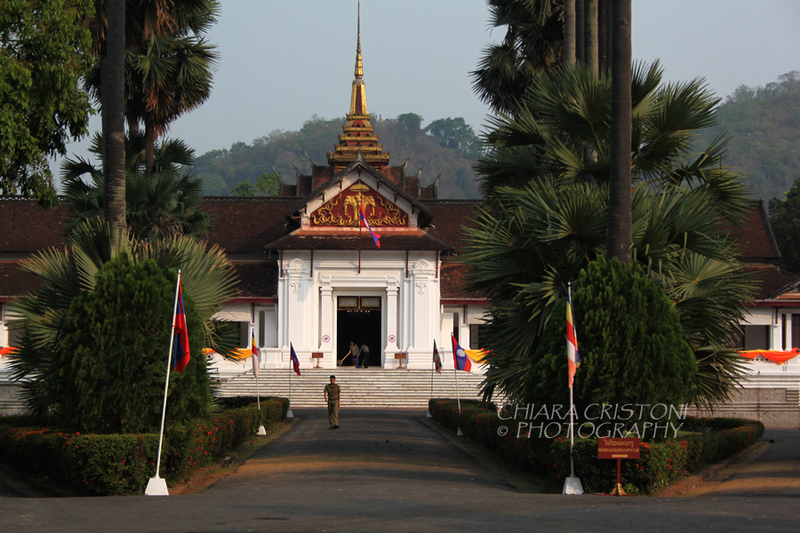 During the rest of the year, shows are on at the Royal Palace complex. When it’s too hot, go to the swimming pool. La Pistoche is the place to be for both tourists and locals. 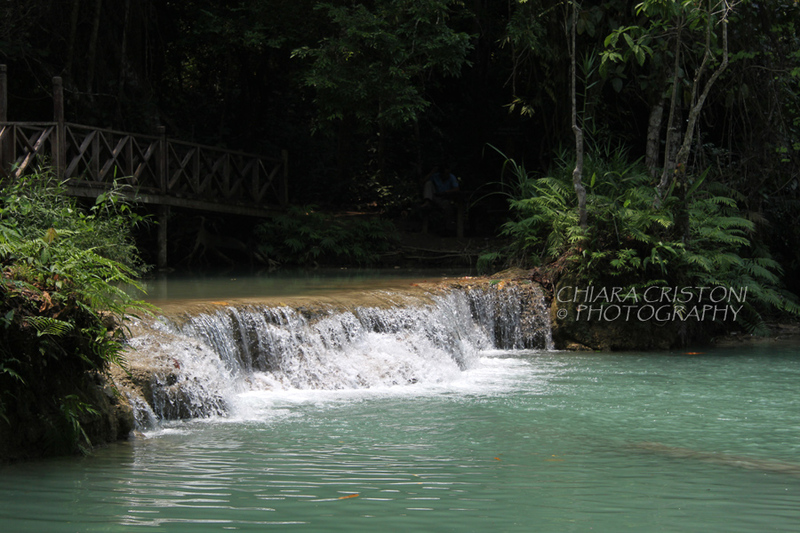 Nice place for a day of splashing and chilling! When you have exhausted all options above, there are dozens of spa/massage places where you can get pampered for an hour or two at superlow cost. I had a great one-hour foot massage for US$5! 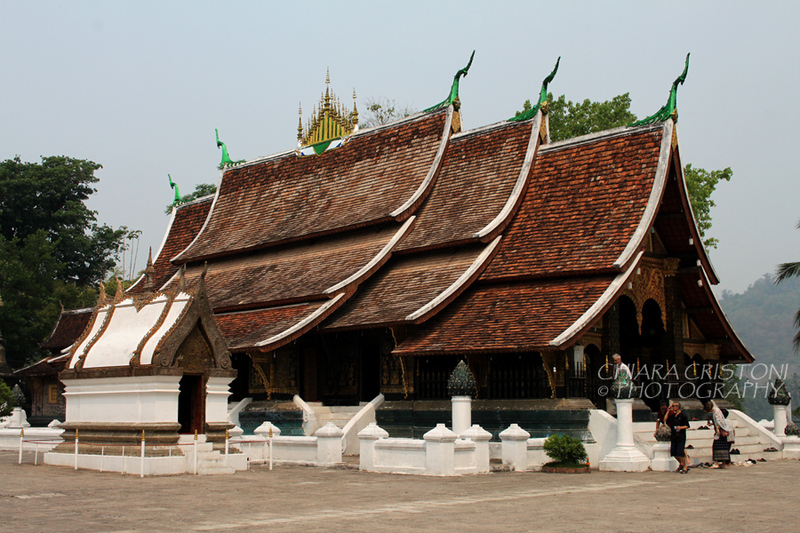 And now you can enjoy more Luang Prabang photos! 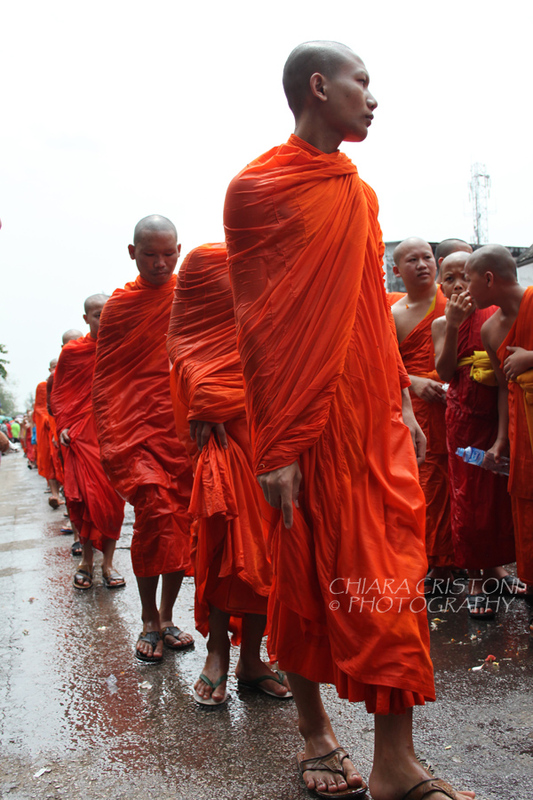 If you can get yourself out of bed before 5am, then the alms giving ceremony (or Tak Bat) is for you. To be honest after all the effort for the early rise it was a bit disappointing but it’s still something of interest. 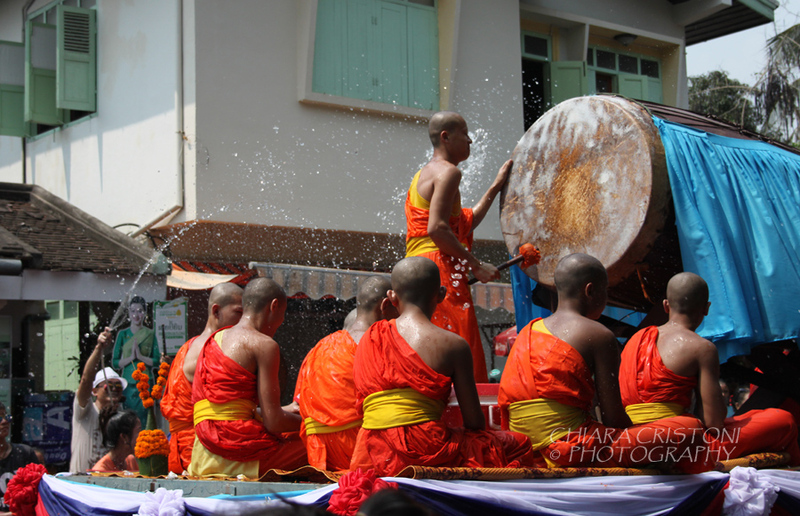 What is the alms giving ceremony? 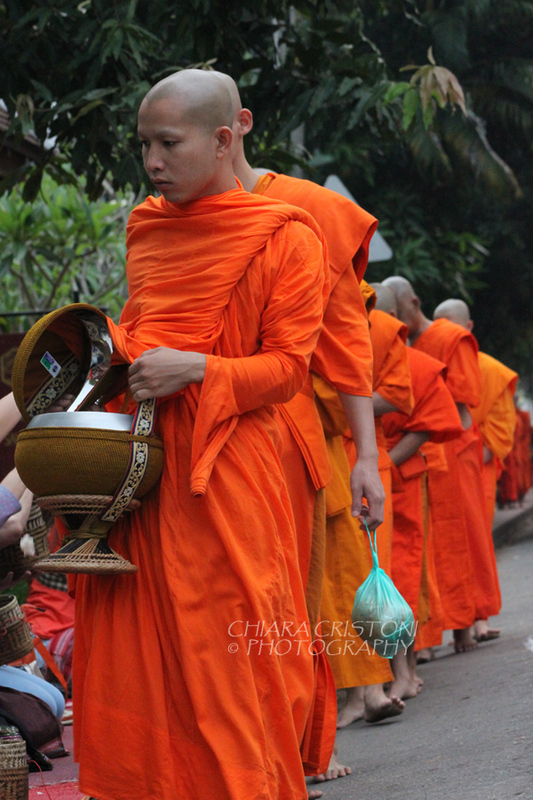 Every morning between 5:30-6:30am monks in Luang Prabang walk in procession along the main road to collect alms of rice and fruits from people. 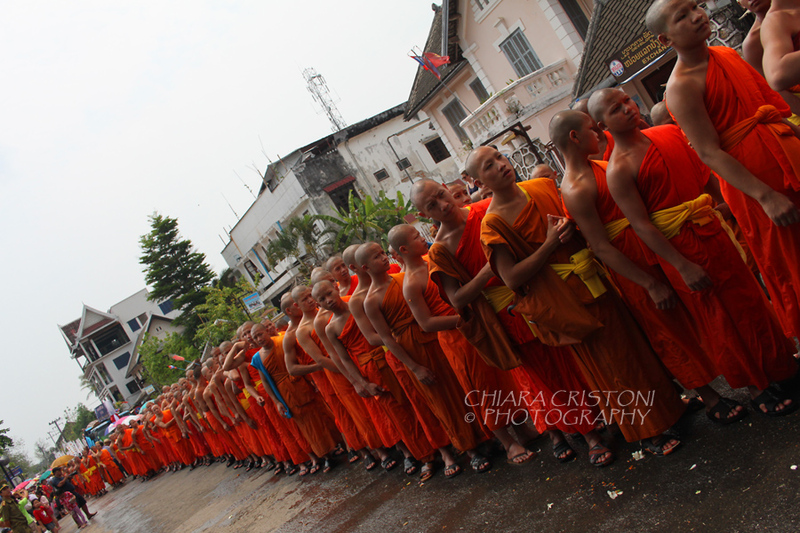 Their orange robes create a colourful row that snakes along the road. 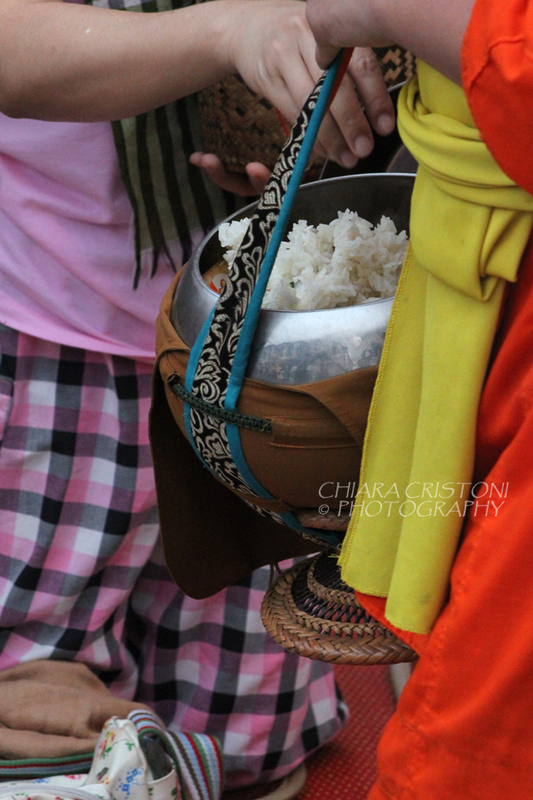 People offer them rice, biscuits and fruits. 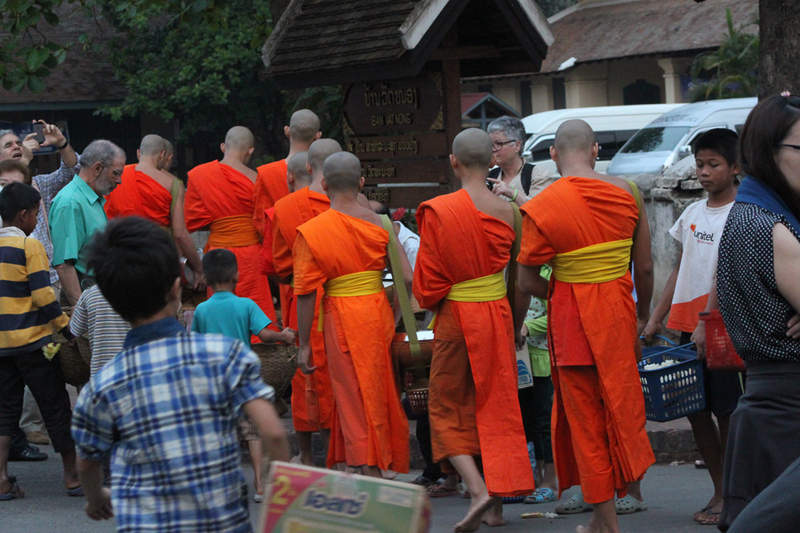 The monks in turn give some of the offerings to local poor kids, who have gathered in the area with boxes and baskets. 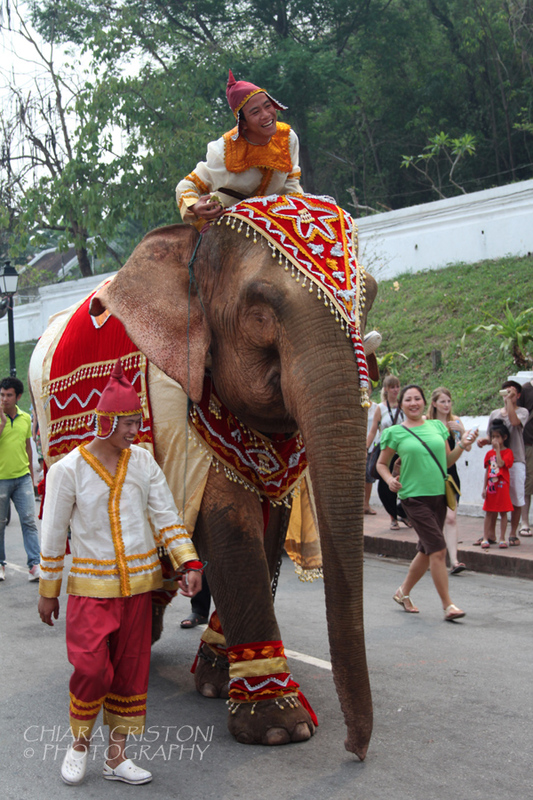 Unfortunately this venerable and picturesque tradition has turned into a full-on tourist attraction. Minivans off load dozens of tourists right in the main area where the procession takes place. Not only the tourist numbers are really high but also the majority of them stand right next to the monks trying to take close-up photos. 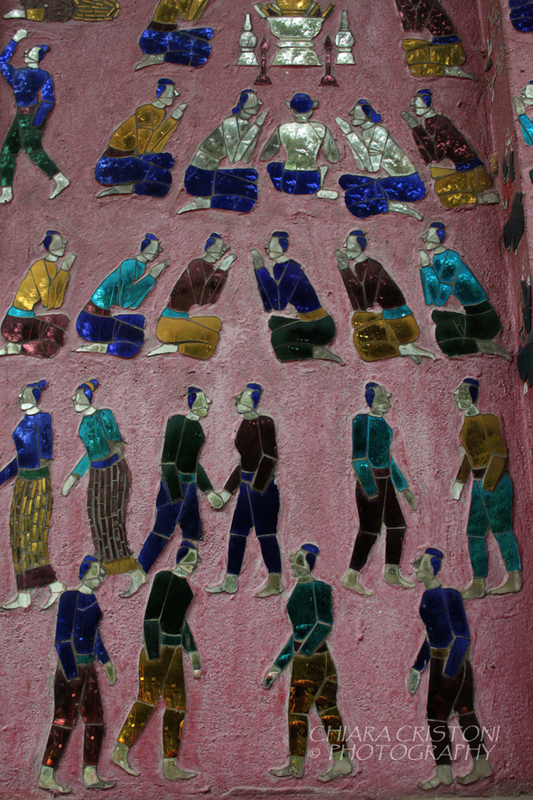 Not to mention the use of flash in the monks’ faces. 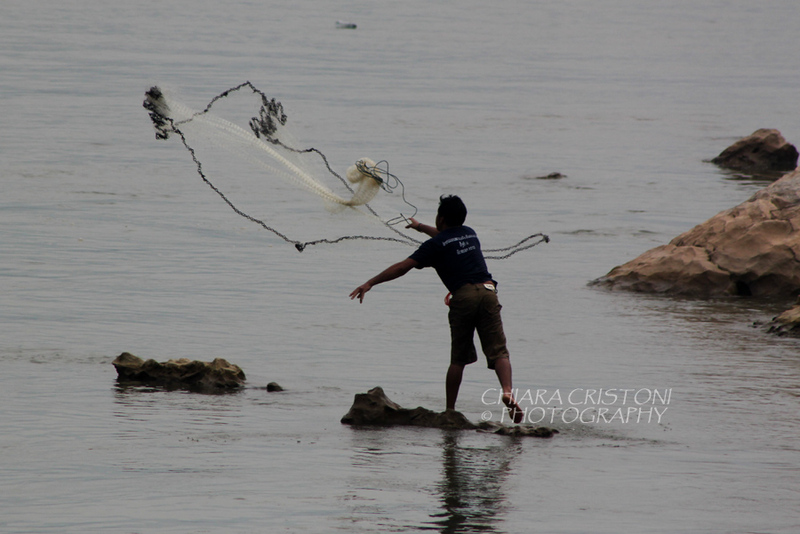 How about using a long lens and taking photos from the distance?!?!?! There are actually a series of ‘behaviour guidelines’ for those who wish to attend the alms giving ceremony (i.e. dress appropriately, stand at least 3 meters away from the monks, do not give them food bought in the streets, and so on) but they don’t seem to be followed much. 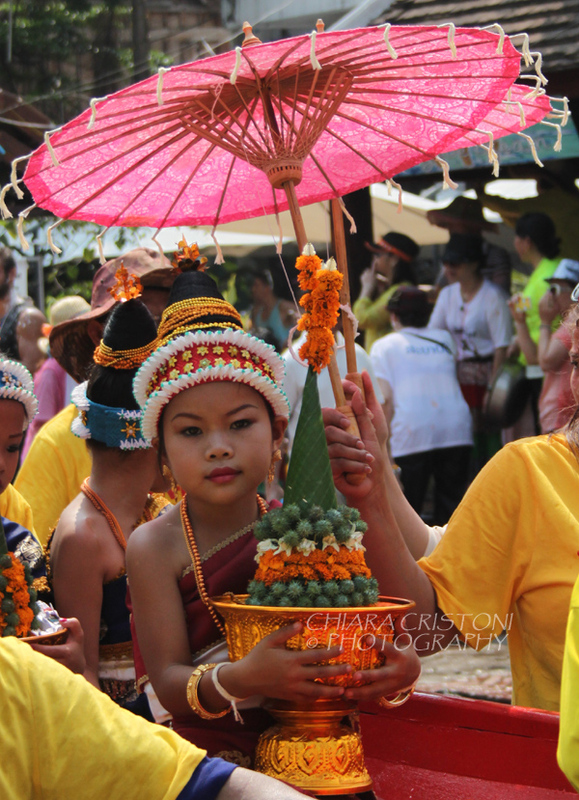 This is what is sad and annoying about this traditional ceremony. 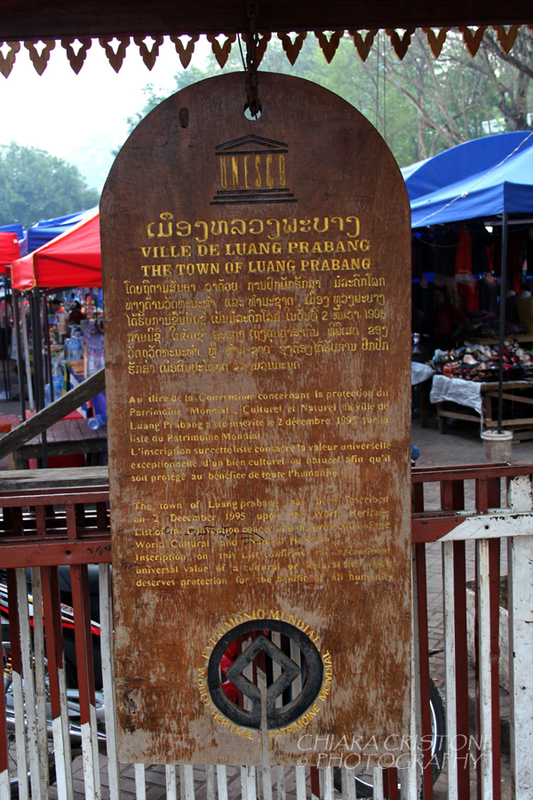 But overall it is something to see in Luang Prabang. 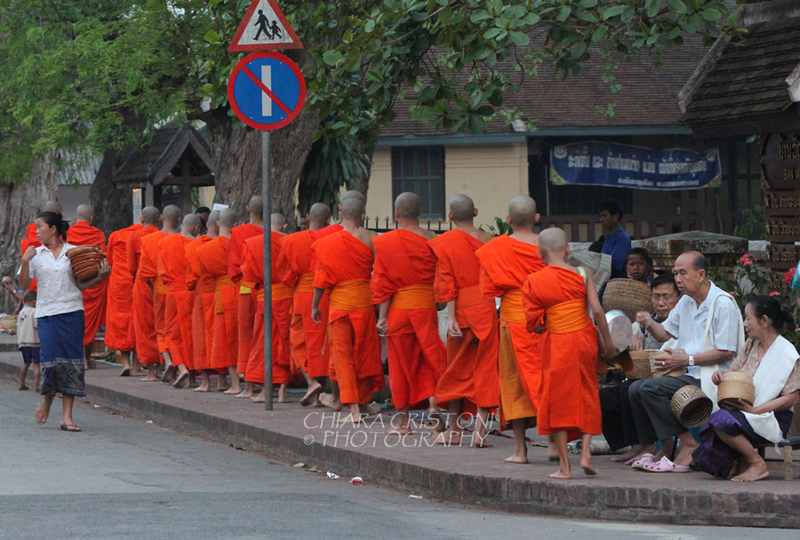 The orange line of monks walking in the street is quite nice to watch. 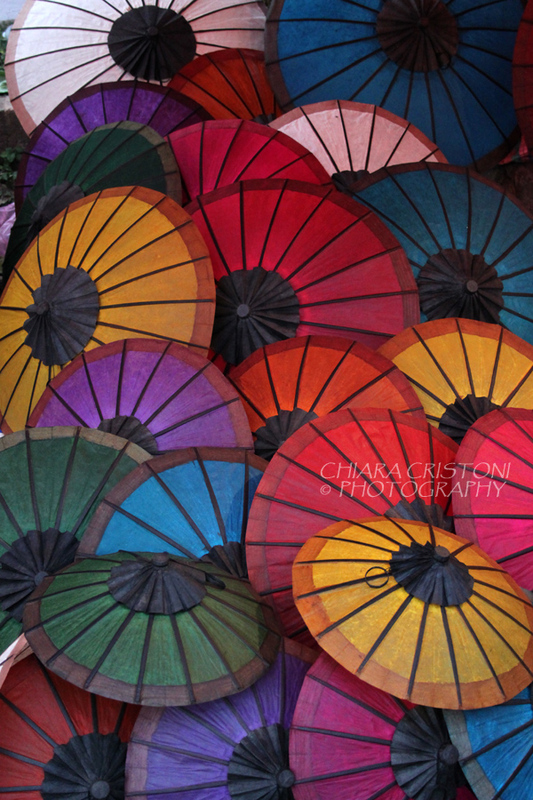 I knew that Lao New Year was going to be wet. But I didn’t expect it SO wet. And I am not talking about rain. I am talking about people throwing buckets of water at each other in the streets for hours each day. 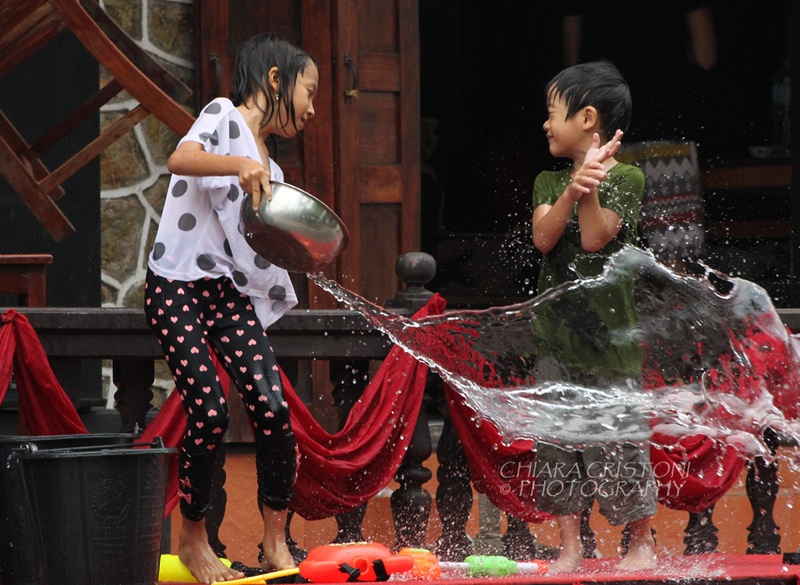 Water fights. Streets as battlefields. Organised “posses” of locals driving around town in vans and trucks to deliver their attacks. Tourists fighting back with waterguns. Water everywhere. If you don’t want to get wet do not go outside. For at least three days. Because it’s “no mercy” out there! 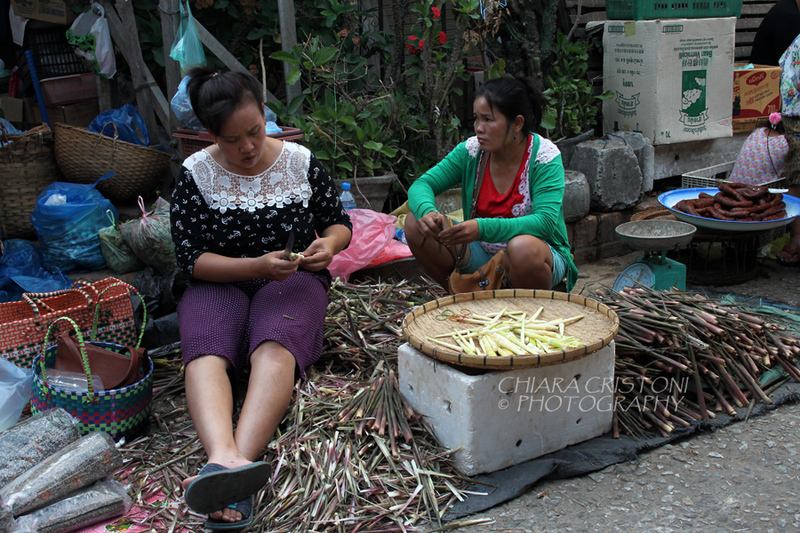 Lao New Year (or Pii Mai Lao) is celebrated around mid-April each year. 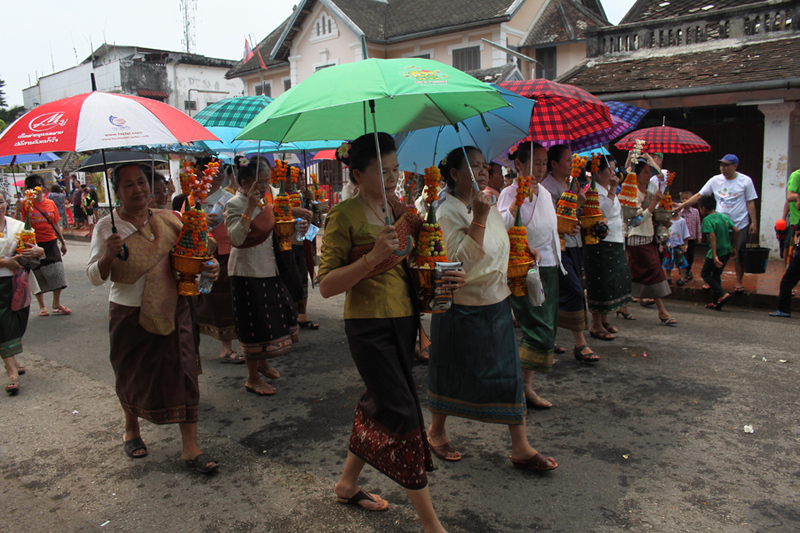 In 2014 the key dates are 14-15-16 April, although in Luang Prabang the celebrations last over one week. 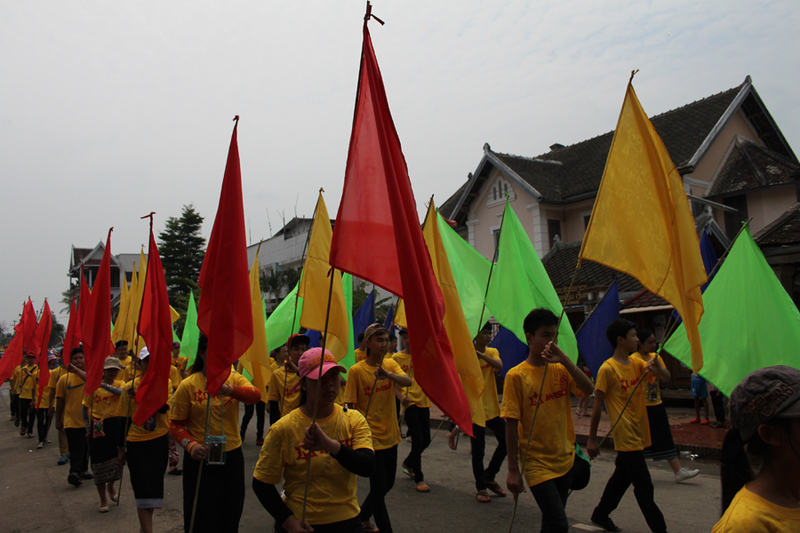 There is a long program of activities during the week but the main theme seems to be “water”. Water is a means of wishing long life and peace and good luck so when someone throws water at you they mean well! Since I was completely soaked in water for 6 hours a day for 2 days I am expecting to have the luckiest year of my life. 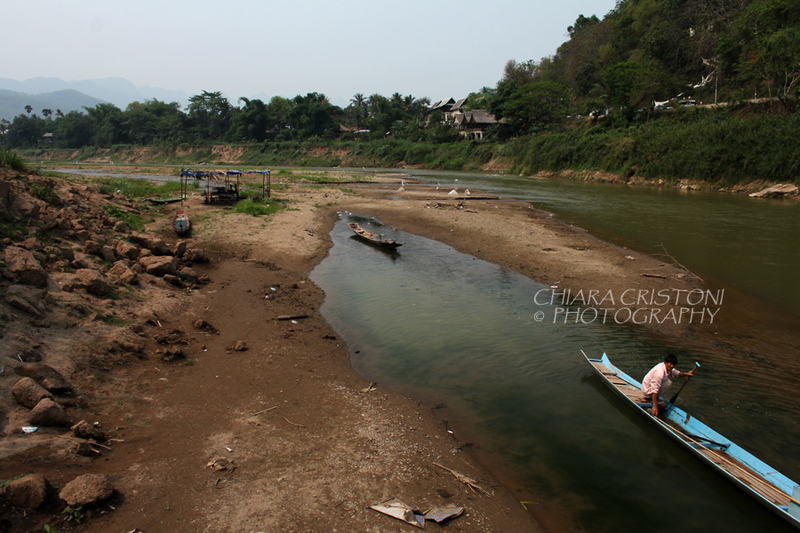 Or – given the not-so-clean water from the Mekong river used – I am more likely to get ill…. 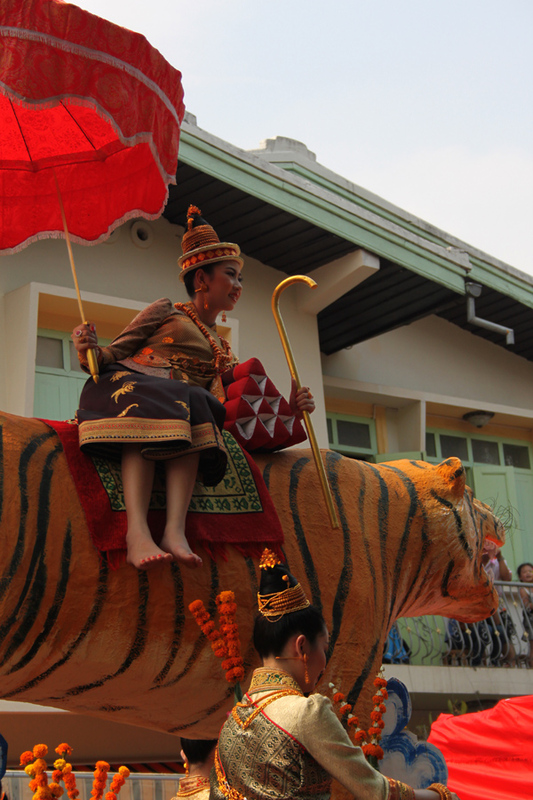 Apart from getting soaked, which gets annoying after a while despite the relief provided from the 40C degrees heat, Luang Prabang had: an elephant parade, an incredibly busy morning market on 14 April (which was the main day of the festival), a very interesting performance of Lao ballet theatre, a Miss Lao New Year beauty contest, and the purification of Buddha images and statues in the temples. 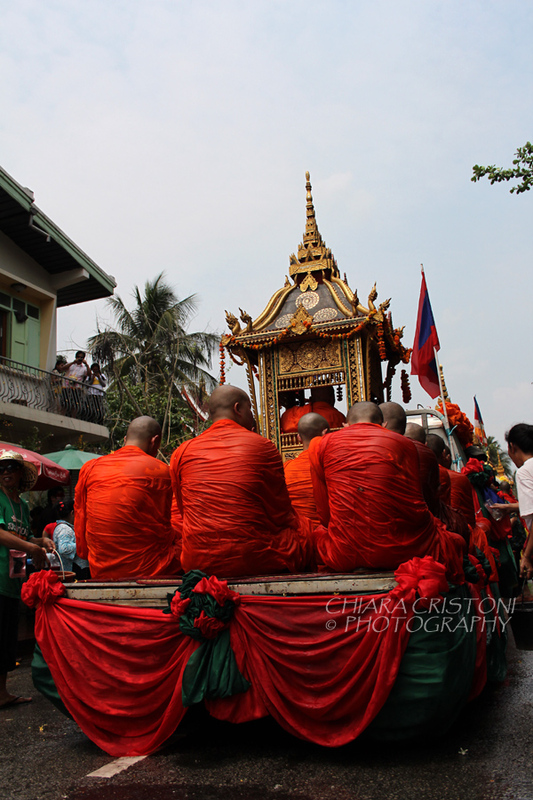 But the most interesting one for me was the parade/procession from Wat Thadnoy to Wat Xieng Thong (the two main temples). 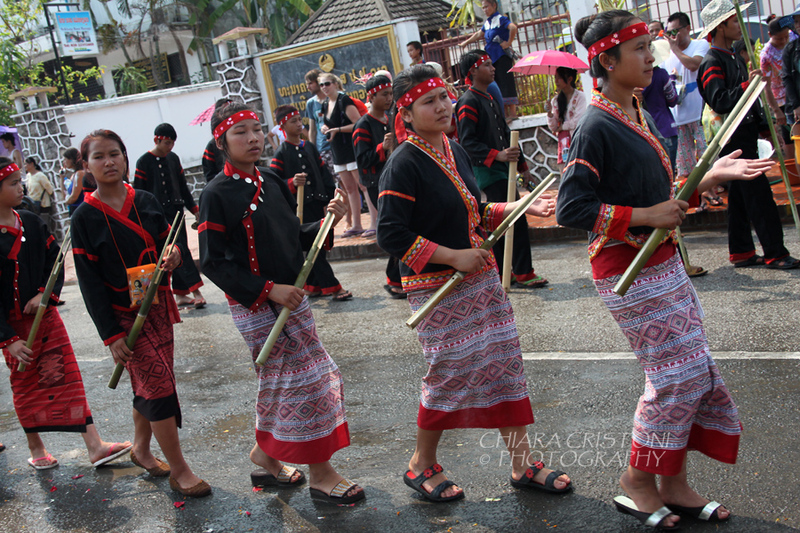 Monks, ethnic minorities, performance arts groups, university students, and lots of locals, mostly wearing traditional costumes, paraded for hours in the unforgiving sun. Amazing show! Enough words for now, let’s get the images to do the rest of the talking.